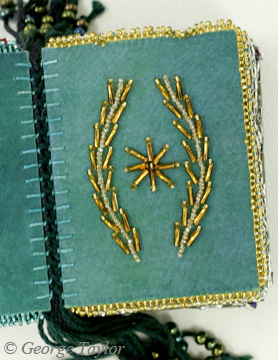 A true love for anyone who creates it, The Ultimate Bead Book is a treasury of stitched embellishment created in in a small scale. 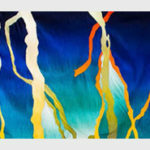 The focus of this course is to learn and exploit the dramatic design impact of beads and stitching. Particular attention is paid to color ways, patterns, beaded stitches and decorative beaded edges. Students will find satisfaction in expressing their own tastes while compiling a reference book that stands as it’s own artistic work. Presented in 3 Sessions, each 3-day session is separated by a period of time that will allow participants time to practice their skills. Gail will assist students with their designs. Open to all and suitable for anyone. Please consult the Course Brochure: The Ultimate Bead Book for complete information. To register online, simply add this course to your shopping cart.